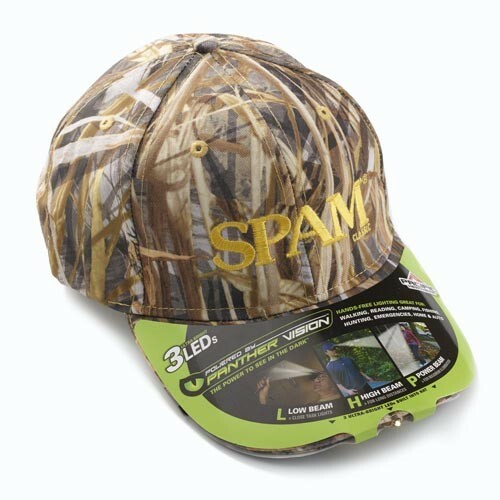 Hands-free lighted camouflaged cap with SPAM® Brand embroidered in yellow on front. Very bright 3 LED lights: Low beam for close tasks, high beam for long distance and power beam for near and far. Great for walking, reading, camping, hunting fishing, emergencies and more. Adjustable back closure One size fits most.